WEEDSPORT, NY – Peter Britten is a loyal guy. He does everything he can to support those who support him. 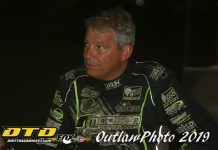 So when he and his new team hit the track in Florida at the DIRTcar Nationals, he’ll be displaying a loyal partner to himself and the Troyer Race Cars brand on his quarter panels…FK Rod Ends. 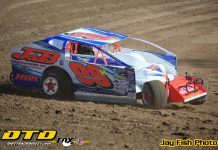 Britten, who announced in January that he was going on his own for 2019 as an owner / driver, has been working around the clock to prepare for the new season. With that comes the task of developing relationships with marketing partners who will help his team succeed. While he hasn’t been able to lock down a major sponsor for his team just yet, one company that has been key to his success and that of Troyer was FK Rod Ends, and Britten decided to put them in the prime spot on his car for Florida as a way to say thanks. For FK Rod Ends, it’s a partnership that they have enjoyed for many years and look forward to for years to come. 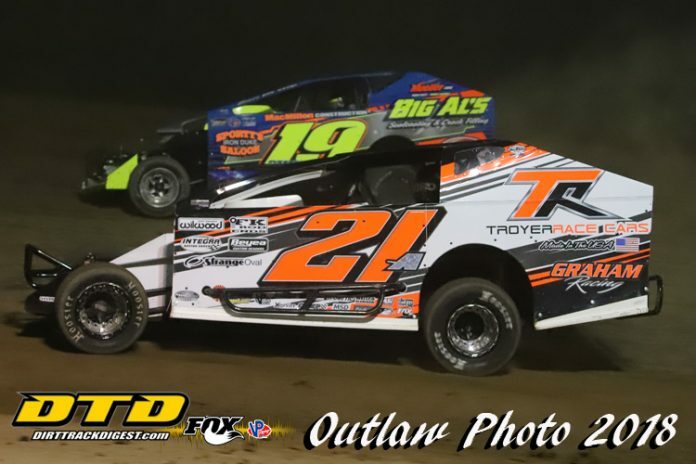 2019 is a season of change for Britten as he is going back on his own this year, but it’s relationships like the one he has with FK that will help to get him to the front…and that all starts at the DIRTcar Nationals. 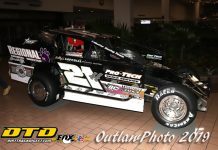 The number 21A with FK Rod Ends emblazoned on the sides will hit Volusia Speedway Park in Barbersville, FL for five straight evenings starting Tuesday night. Stay tuned to PeterBrittenRacing.com for results from Florida and news about Peter’s racing plans this season as they develop. Peter and his team would like to thank all of their current marketing partners for their continued support, including: Troyer Race Cars, FK Rod Ends, Wilwood Disc Brakes, Integra Shocks, Sweet Manufacturing, Strange Oval, Beyea Custom Headers, Velocita, Bobby Chalmers Public Relations, Fragola Performance Systems, Kirkey Racing Fabrication, Hypercoil, Flach Performance Products, Total Power, Jones Racing Products & Mr. Race Oil.